ideaken featured in Indian edition of Entrepreneur magazine’s September 2011 issue. Entrepreneur magazine is one of the biggest selling business magazines on US newsstands, published in 6 countries with 3 million readers worldwide. 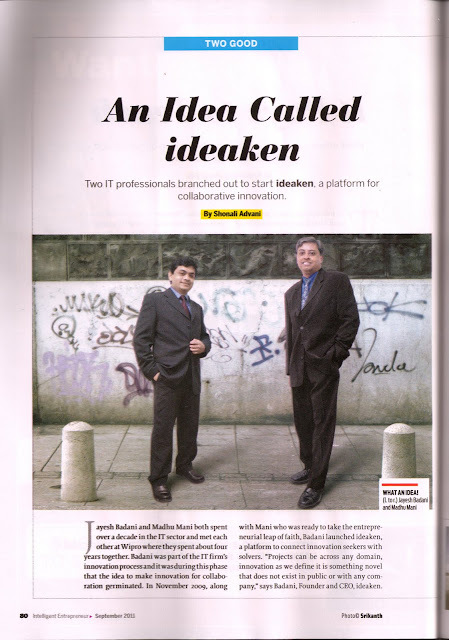 To read a full article - pick up a copy of Entrepreneur! or contact us here.